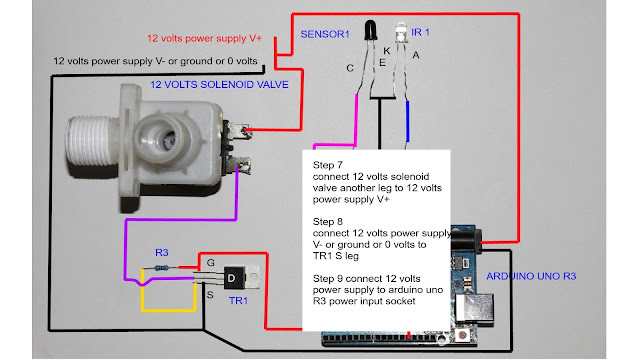 Hello everybody, today I'm going to show you how to make simple circuit water detector. 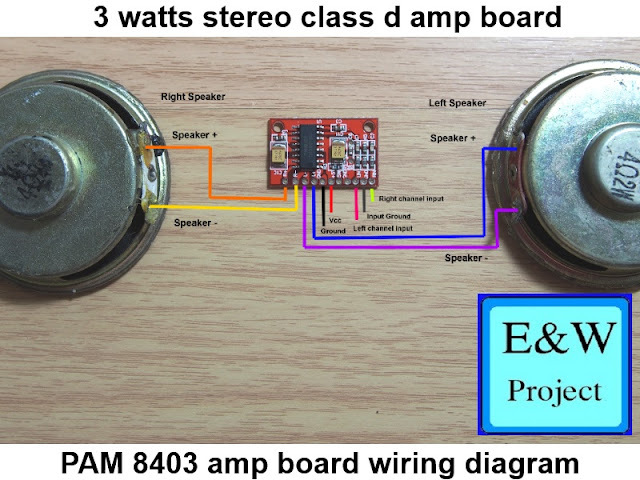 The circuit is very easy to build and use minimal component and works very well. 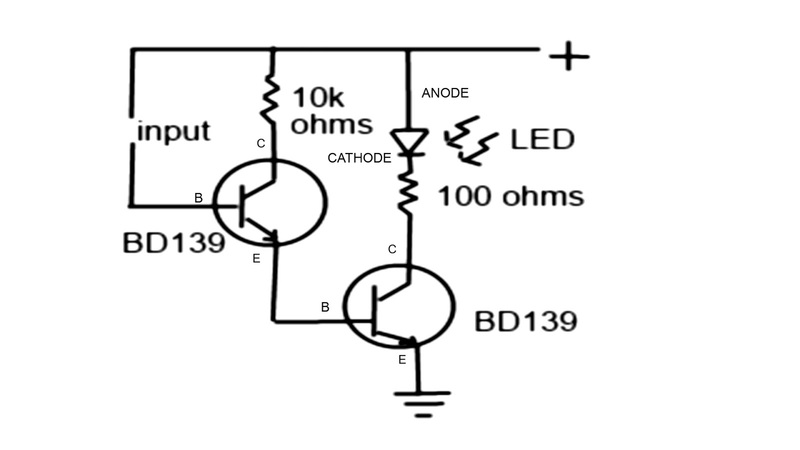 This circuit use transistor to amplifies small current that pass through water to enough current to drive led light without using complex ic. 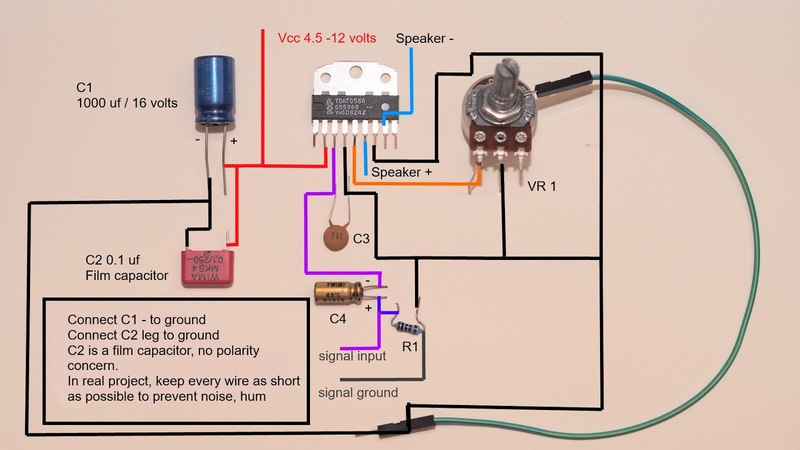 The circuit is very simple and easy to build. 2.4 to 6 volts batteries(usb power compatible). do you have the programming code for this? No, This circuit works by transistors amplify small current past through water from + pole to transistor base. 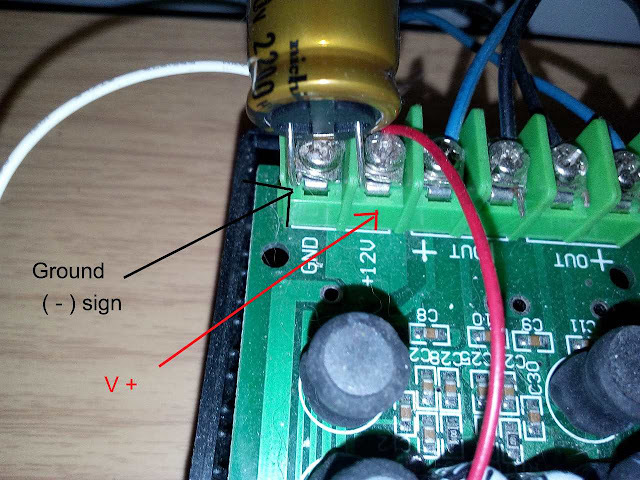 Additional : When you supply small current to transistor base, big current will flow from collector to emitter. 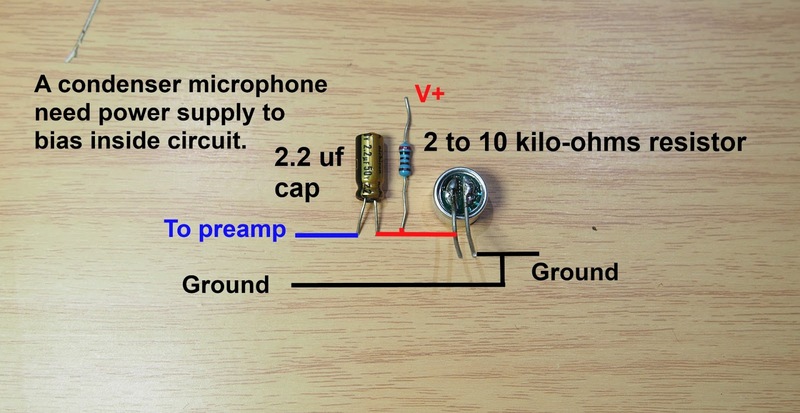 transistor can amplify current from 10 to even 1,000 times from base current depend on what type of transistor. The instructions is very easy. I use npn type transistor so when you put small positive current to base of transistor the much bigger current flow to collector to emitter. If you put load between collector and positive polarity of the battery you get load work(such as LED in the video in this page) or you put load between emitter to ground you get load work too. 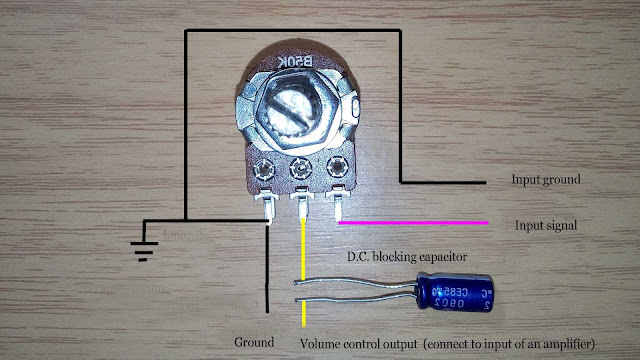 If you want the detector more sensitive you can connect transistor 1 emitter leg to transistor 2 base leg and connect collector of both transistors together and connect load(led,motor,etc)between emitter to ground and everything will work like a charm. 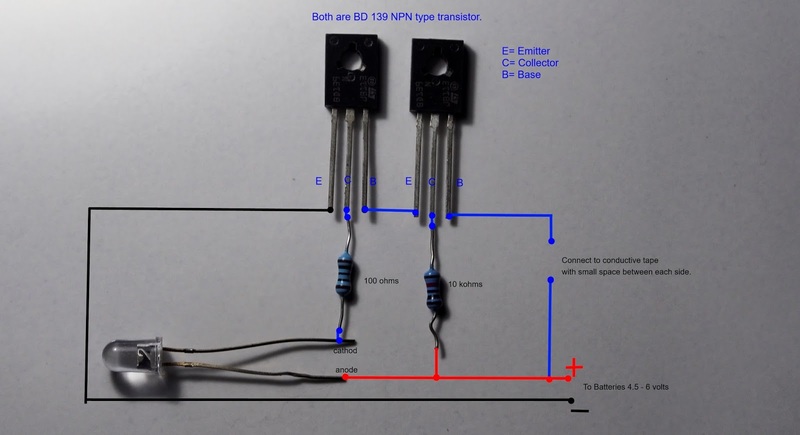 when transistors set to darlington you must beware over current to led or the led(s) will burn. For five volts it is easy to add just 100 ohms between led and transistor (it's very inefficient but easy to work with) for transistor 1 (base connect the detector pad)I limit current to the transistor by add 10 kilo ohms between tr1 collector and positive polarity. The circuit is very easy if you try and work with it. P.S. 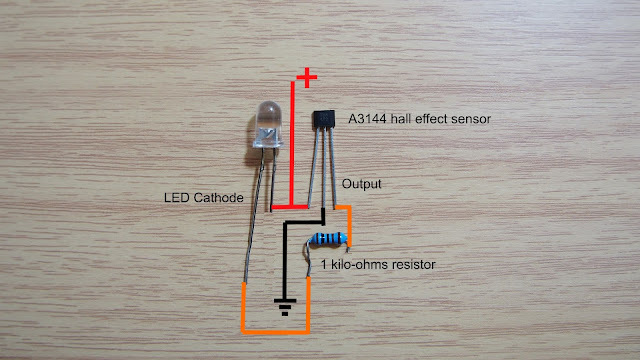 find ohm's law explain it google if you like electronic diy.